Learn Cataloging the RDA Way covers the skills needed to catalog in a library or other information agency, at a professional or a paraprofessional level. Since the bibliographic record is the foundation of all the tools used in a library, from catalog to bibliography to online database, it is important for all library staff to be familiar with at least basic principles. This book can be used by those who are new to cataloging, by copy catalogers, and also by experienced catalogers who are transitioning to the new RDA cataloging standard. •	New catalogers will find it useful to work through the entire book, including the early chapters that explain the basics of descriptive cataloging. •	Those involved primarily in copy cataloging will still need to understand RDA cataloging (Chapters Seven onwards). In addition, Chapter Nineteen is devoted to copy cataloging and cloning issues, with an extensive checklist that highlights the main areas to be checked when accepting a record for copy cataloging, and indicates changes to be made. •	Experienced catalogers wishing to upgrade their skills to create RDA–compliant records should read Chapters Three and Four as background, and begin their study with Chapters Seven and Eight onwards. This part of the book introduces the RDA Toolkit and takes readers through all aspects of the RDA Instruction Set, culminating in the creation of full RDA catalog records in Chapters Eighteen and Twenty. 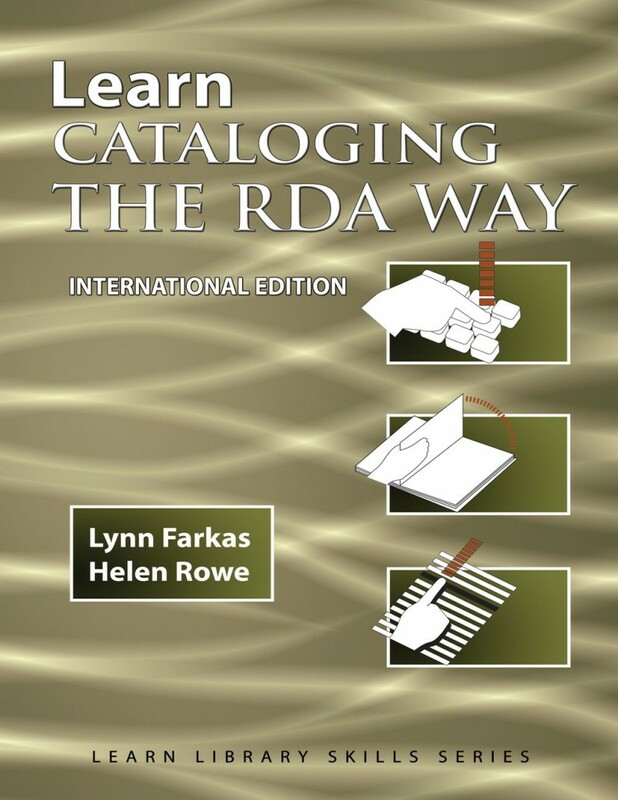 Learn Cataloging the RDA Way is a combination text and workbook, designed for use on its own or in a formal course of study. It is suitable for use in a classroom, and by those who are studying cataloging by themselves, either with a specific goal or as part of their continuing professional development. Throughout the book there are exercises to practice and test skills, and quizzes to test understanding. There are answers for self-checking at the back of the book. Users may not always agree completely with the answers given, and it will be useful to check them with a teacher or experienced cataloger. This is especially important in RDA cataloging, since the flexibility of the scheme means there is often room for more than one approach or application of the guidelines.